Slugsalt's ninth release is here, and I'm very proud to be a part of this union. C.H.E.W. 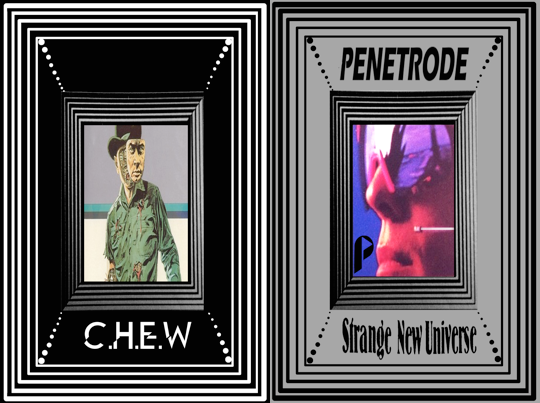 -- formerly Chew -- from Chicago and Philly's Penetrode bring you some of their best recorded songs to date. We'll be withholding these tracks from the web until a little later, because another label is working on the 7" version of this release (due sometime this summer). The tape is housed in a full color O-card and comes with a double-sided insert/lyrics sheet. C.H.E.W. will have tapes on their Midwest tour starting today, and Penetrode's copies will be at all of their local gigs (next one 4/19 with Ultra from Spain @ LAVA).